Travel tote bags with a modern appeal. The ultimate travel weekender. 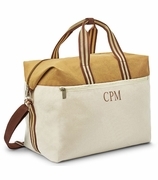 Large cotton carry-all tote with large main compartment, front zippered pocket. Additional side metal hooks for expandability and ease in packing. Top grab handles. Adjustable shoulder strap. Perfect for overnight travel. Available in sand dune and black. 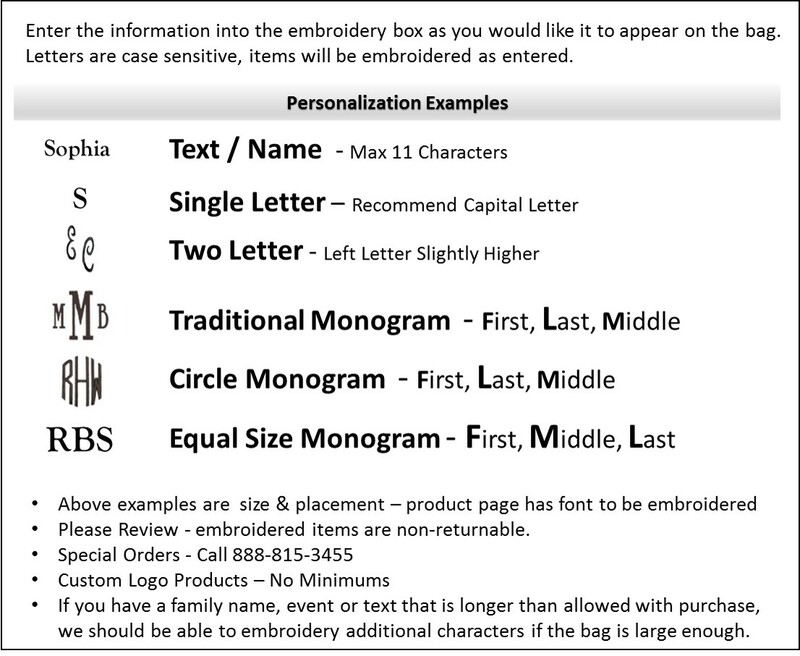 Includes a three letter monogram. 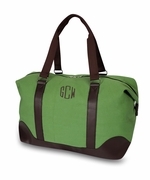 This duffel is also available in sand search GL-4286B and moss green GL-4287B. Matching over the shoulder tech totes are available in black and sand. 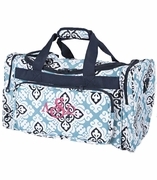 Travel tote bags measures 24" x 16H x 11" across supported bottom. Cotton poly blend fabric construction.